Mr. Deputy Chairman of Committees, I had intended to speak on the principles of this Bill, but, after having heard the speeches before me, it may be worthwhile to spend some time responding to some of the suggestions and the arguments made. I do not think I want to engage in the game of atrocity snap that the Hon. Chief Opposition Whip began, because it would be only too easy to refer to problems with the Police at the time when he was a very junior Member of Parliament who, of course, was not able in those days to protest against the excesses. But, listening to the speech of the Hon. Member on the National List from the TNA, I think what we are missing is a historical perspective on the role of the Police. I was glad though that he mentioned that the role of the Police for a long time in this country, indeed from the day the Police was set up, was as a tool of Government to oppress the people of the country. That is why I thought that the rather facile distinction he made between the military and the Police was out of place. Unfortunately, we know that the role of the Police, not only in this country but in many other countries worldwide, has contributed to excesses and it is the role of the Government, the legislature and the institutions such as the Police Academy to reduce these abuses as much as possible. I think we in Sri Lanka have suffered much because of the events of the last 20 or 30 years. Of course I have a certain sympathy for the Hon TNA member because much of the institutionalization of police abuses took place with regard to ethnic tensions, not only in the ’50s and ’60s but most appallingly in the early ’80s. None of us can forget that perhaps the worst instance of Police being used as a political tool was in Jaffna in 1981 with the attacks on Members of the TULF and the burning of the Jaffna Public Library. But, though Police officers were held to be the tools, the actual inspiration came from Ministers in the Government. That institutionalization continued over the next few years because when the courts found against the Police for the violation of human rights, Government had absolutely no qualms whatsoever about promoting the police officers concerned and indeed paying their fines. It made it very clear that with abuses such as in the “Pavidi Handa” case and in the violation of the rights of the mother of the then Inspector-General of Police, Mr. Rudra Rajasingham, Government thought it was perfectly okay that rights had been violated. Those institutionalized problems are things that we have needed to address, but it has been difficult. The Hon. Member referred to the paucity of Tamil policemen and, of course, this is a matter of enormous concern. But, I wish that occasionally he would try to look at the positive side of things. It is very easy to spell out percentages. But, even he can realize that noting the number of Tamil policemen has doubled in the last few months is another way of expressing the same statistic. We know it began from a terrible low. This was not the fault of government. Nor was it his fault, since he, perhaps alone, amongst the Members of his party cannot be associated at all with the excesses of the LTTE in the days when it unfortunately dominated Tamil politics. And he must be aware that it was the killing of Tamil policemen by the LTTE that inhibited Tamils from joining the Police. Indeed, when we tried to continue with the recruitment of Tamils, there were very few applications and some of my rather myopic NGO friends said, “No, no, Tamils do not want to join the Police.” But the answer was very simple. It was because they were frightened of what the LTTE might do to them. This is now crystal clear because one of the great successes of the destruction of the LTTE is that the minute the LTTE was removed as a threat in Sri Lanka, – even though I am afraid some people are trying to resurrect it abroad – the number of applications to join the Police on the part of our Tamil fellow citizens increased dramatically. I hope very much then that my TNA friend will encourage such matters and not continue to spell out dichotomies that we must all work together to get rid of. In this context, it is worth remembering that, while abuses of the Police as well as abuses by the Police have occurred, it is incumbent on all of us to make it clear that this has a very little to do with ethnic tensions. When we welcomed the visit of the United Nations Special Representative on Torture, he issued a very helpful report with very practical suggestions as to how the situation might be improved. He made it very clear that torture was not, as some people in the LTTE and their supporters suggested, an instrument of ethnic oppression, rather it was much more prevalent in other parts of the country. In this respect, we have to remember, although we cannot for a moment condone it, that in addition to legal provisions that will make it absolutely clear that torture should not be tolerated, we have also got to improve training. For many years, I used to argue that our military had improved considerably from the situation in the ’80s because of deliberate training, because of increased understanding of what it means to be a national military officer working in a context of rules, and it is for that reason that we can continue to be proud of the record of our military in fighting a very brutal terrorist organization. But the Police had greater difficulties and the Police Officers with whom I discussed this when I chaired a Committee on improving the Human Rights situation with regard to the police, pointed out that Police training had been neglected in the last 10 or 20 years, not only with regard to human rights training but with regard to professional training. As the Hon. Member suggested, the Police must be better investigators, better interrogators and better prosecutors as well. When I looked at what he too pointed out on what seemed the low rate of conviction – though I should note that it was not so very different from that in other countries – we gathered that one of the reasons was the lack of training in things like prosecutions. The senior police officers pointed out that when young police officials are not trained in interrogation, and do not have the senior detective course that they the seniors had been given, they might resort to other techniques. I think it is important then that we have this National Police Academy. It aims not only at professional development but also the soft skills that have been introduced so successfully into all military academies in Sri Lanka where officers have to think, have to communicate effectively with the citizens amongst whom they serve. I think it is vital that the Police Academy, which I hope we will all support today, will help to professionalize our Police in a way that we have managed so successfully with the military. We have to understand that in the modern world, the role of the police is also increasingly sophisticated and the dichotomies that the Hon. Member before me suggested are no longer valid. Their role is enormous. They have to be trained well and I hope that we can all support this Academy. I beg your permission, Sir, also to table* the speech I made about the actual content of the Academy and the way it can contribute. Thank you. Mr Speaker, this bill to establish a National Police Academy is most welcome, and I am happy to speak in support. Such an institution is long overdue, given the importance of the police with regard not only to national security, but also to questions of basic law and order as well as the often trivial disputes that colour daily life, which are seen as momentous by the individuals they affect. A force that is able to understand the differences between the various tasks they have to perform, to apply the appropriate measures based on their legal powers, and to serve all members of all communities with sympathy and understanding, is a must. For this, Mr Speaker, we need to have a body of personnel able to think and distinguish priorities and particular requirements, and to apply their powers judiciously and effectively. They must also be aware of their responsibilities, as well as the rights and the duties of the people they serve. This is true of all security forces, and one reason for the enormous success of our military establishment is the concerted training programme they have developed over the last decade and more. We have high level academies for the army and navy and air force, in addition to the Kotelawala Defence University, and these ensure military efficiency as well as the knowledge and the soft skills necessary for effective functioning in the modern world. Emphasis on subjects such as law and international relations, as well as thinking and problem solving and decision making skills, with high level training in communicative capacity, has transformed our military into an exemplary force. I used to often make this point when I was Head of the Peace Secretariat, and chaired a committee intended to improve Human Rights with regard to the police. I should note though that the senior police officials who were on this committee were also worried about what they saw as declining capacity, and made clear the deficiencies in training that were occurring because of the emergency situation. Whereas basic officer cadet training in the army had been lengthened in spite of the need for more officers, the parallel course for Sub Inspectors of the Police had been shortened. Another small but I think significant shortcoming was that the Police no longer prepared a Handbook which laid down guidelines for personnel. We were told that this used to be distributed to all ranks in the old days, to make clear what was expect on them. We began therefore work on a revised version of this, with a synopsis that could also be made available to the public, so that they had a better awareness of the role of the police and the relationship that should obtain with the populace. Unfortunately that too was forgotten as changes in structures and personnel took place, and there was no longer a dedicated agency working on such matters together with police officials. Senior police officers also drew my attention to the failure to conduct courses from which they themselves had benefited, such as the advanced detective course. When I suggested more work in Human Rights, they noted too the need for increased professionalism. After all, if young officers are not skilled in interrogation and investigation, they will be tempted to turn to alternative methods of solving cases. Again, while the low rate of conviction – which is not so very different indeed from that which obtains in other countries – might be attributed to a lack of commitment, it also springs from weaknesses in prosecuting ability which better training might overcome. There is also need to bring syllabuses up to date. We noted for instance that, whereas the army had developed a very practical Tamil language course, the Police dwelt on learning the alphabet, which took up almost all the time allotted. Again, with regard to Human Rights, there was a tendency to rely on lecture notes, whereas we managed to introduce a course for trainers which included role plays, so that officers would understand the implications of actions they took. But such interventions, as I realized when they ground to a halt with changing of personnel in relevant positions, should not depend on individual initiatives, they need to be institutionalized. It is for that reason that we kept suggesting an National Police Academy, so I was delighted when I was told a few months back that this would soon be a reality. But at the same time we must make sure that it functions as effectively as the military academies, and institutes high level training for officers from the time of recruitment, with provision for continuous training throughout their careers. They must also be trained in the soft skills that the military now possesses, with understanding of the various contexts in which they might operate, and management and communication skills suited to the different positions they might occupy. 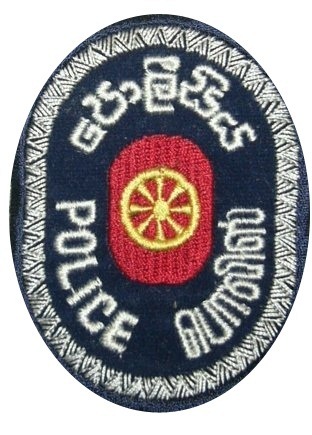 I hope that, as happened with the Sri Lanka Military Academy when it became a degree awarding institution, way back in 2000, there will be constant consultation with academics, and special attention to communication skills and international awareness, so that our police will in the future be able to hold their own in any situation. I realized from the caliber of the officers with whom I have interacted, both in dealing with unfair attacks on us at the Human Rights Council in Geneva, as well as in promoting rationalization and reform in various fields when I was Secretary of the Ministry of Disaster Management and Human Rights, that we had personnel of great efficiency and decency. The tradition they represent must be strengthened, and entrenched, through an Academy that develops standards and expectations to which its alumni will live up. That will make it more difficult for aberrations to occur, and for individuals who are responsible for such to escape censure. I hope then that this measure will lead to a greater consciousness of the role of the police, greater attention to discipline and training, greater accountability to the service and its standards as well as to the public. We should all be grateful to the Ministry for this initiative, and look forward to far greater professionalism and dedication and understanding in the Police as a result of the National Police Academy.